Is your vision cloudy? If so, you may have cataracts. If you are exploring treatment options, the TECNIS Symfony® IOL may be the right choice for you. 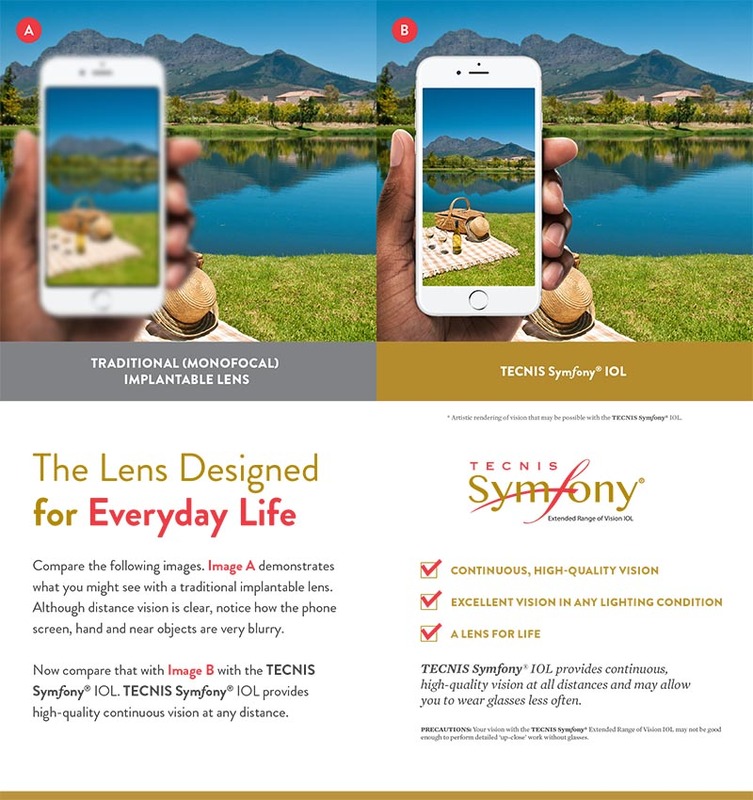 TECNIS Symfony® IOL is the first and only Extended Depth of Focus (EDOF) presbyopia-correcting IOL that provides continuous, high-quality vision at any distance. Consult Dr. Sage and the medical staff at Sage EyeCare for more information.